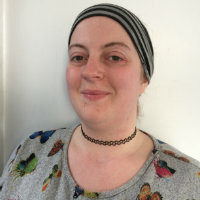 "I believe that the volunteering I have undertaken at the library has directly contributed to me being considered for an exciting new job. I am thrilled to be starting full-time employment as a librarian and reading champion to children aged 4-11 at a local primary school. "I would like to thank all the staff that have helped me learn the valuable skills needed and gain the confidence and appropriate experience to take on this role." "I had a friend who volunteered for the Home Library Service. I thought I would give it a go and I thoroughly enjoyed it. You make friends and get to know people and their families. 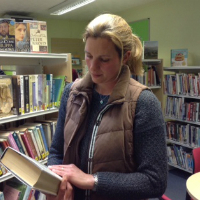 "It is great fun choosing books for people and introducing them to books they hadn’t thought of reading. One lady I visit has similar tastes in reading to me, so it is easy to find books for her. You have to like people, be broadminded and have endless patience. You can spend ages choosing books only to have your choices rejected by the person you visit. But that doesn’t happen often, because you get to know them so well. You have to have a love of books, read yourself and be able to share your enthusiasm. "I just love doing it." 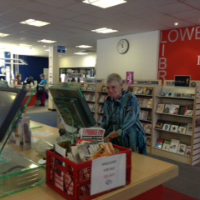 "Volunteering at the library has been a thoroughly enjoyable and fulfilling experience. Not only was it great socially, in terms of making friends and interacting with the general public, but it also offered me the chance to develop my personal skills. I would recommend volunteering; it has got me out of the house, can add a lot to your CV and contributes to a valuable community asset." "At the moment I visit two people and spend about 15–20 minutes chatting when I deliver their books. I get to know what each person likes and doesn’t like. I then choose some books I know they would definitely enjoy, but I also choose some that might be a bit different to what they may usually read. "The people I visit wouldn’t get books otherwise. We all have friends or relatives like that. I have a 90 year old grandmother and I hope that someone where she lives does this too. If just a few people volunteered it could make a big difference. "I like meeting the people I deliver books to. I get to know people I wouldn’t otherwise come across in any other area of my life. I would definitely recommend volunteering like this to other people." "I have been volunteering at the library for about 3 years. I initially joined the Top Time group when I moved to the area as a way of meeting people. "I then got involved in helping with the group and volunteered for the Summer Reading Challenge, as I am a great believer that children need books. I didn’t want to lose the library, so I also got involved in the Friends group and now act as committee secretary." 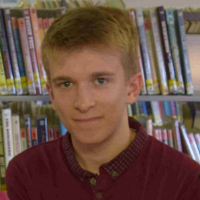 "I have volunteered for many years for the Summer Reading Challenge and currently help organise and set up the Top Time Group each week and act as the treasurer. "At first volunteering was something for me to do, as I cannot go out much due to my health. I put all my effort into that one day once a week. If I am really poorly, it is something I can aim to get back to. The social side of volunteering with the library is my lifeline."